Richard is an active member of the Woodland Trust and a signatory to their Tree Charter. My mother instilled in me a life long fascination for trees with their ever changing form and colour, vulnerability and strength. Drawing and painting deepens one’s appreciation of their individual character and presence, and part of the joy of working outdoors is the frequent encounters with wildlife. Choosing a subject is difficult in the face of so many possibilities, but it tends to be a particular quality of light that captivates me. I’m as happy in fog or rain as sunshine. I make pencil and watercolour sketches, sound recordings, photos and notes, but time outdoors is as much about being in a place as it is about what goes down on paper. Back in the studio I distill all this material and memory into paintings. This is the hard part, one day outdoors can generate several weeks of studio work, a slow and frustrating process of studies and experiments. More and more, the sounds of bird song, lapping of water, crackle of frost are creeping into my work; impossible to paint such non-visual elements one might say, but they are so central to the experience that I continue to try. I build a painting up using many layers of pigment to convey moving light and space, a typical watercolour being 8 to 10 layers. Much goes on the bonfire, but it’s a fantastic feeling when a painting captures something of the essence of a place. Richard studied fine art at Hereford College of Arts and the University of Gloucestershire (Cheltenham School of Art), graduating with first class honours in 2008. His studio is at the Print Shed. He exhibits in England and Wales in public and commercial galleries, and has been represented locally by the Apple Store Gallery since its inception in 2005. 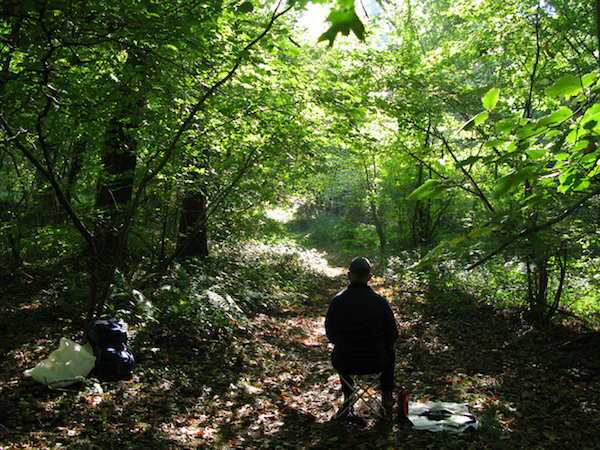 Richard leads occasional art workshops at The Print Shed and with Herefordshire Wildlife Trust, including outdoor events.